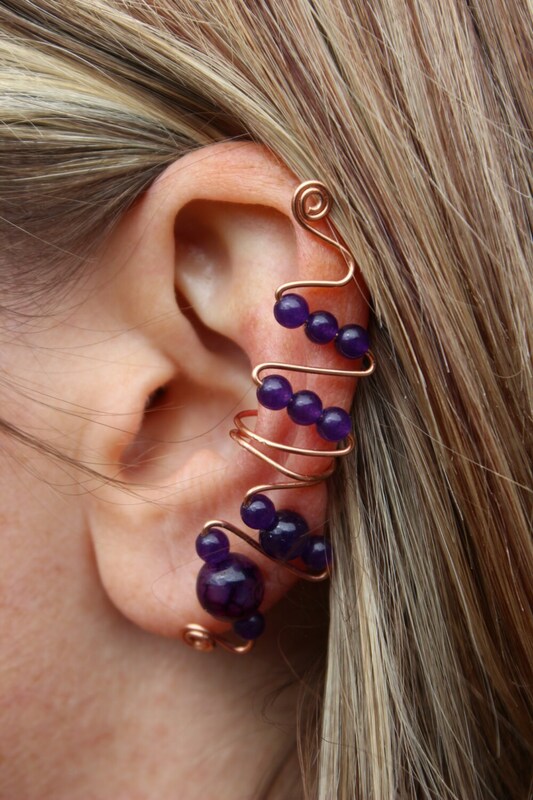 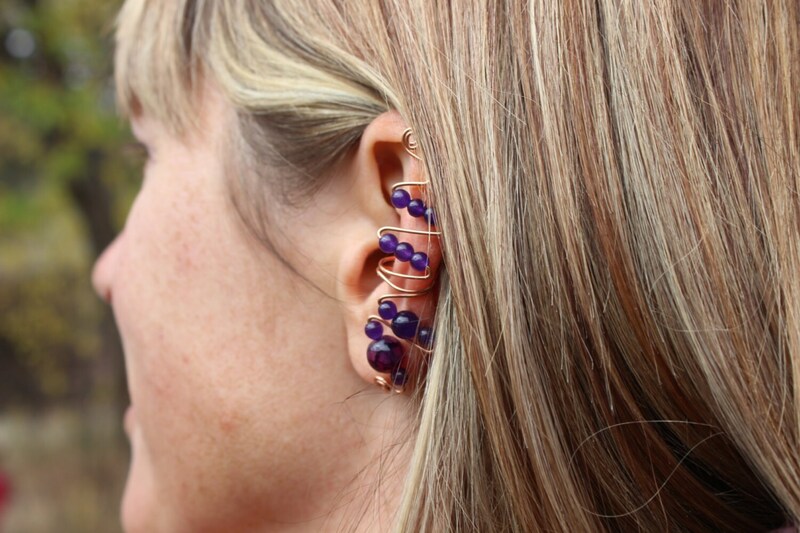 This ear cuff is handmade from copper wire and natural amethyst stone beads. 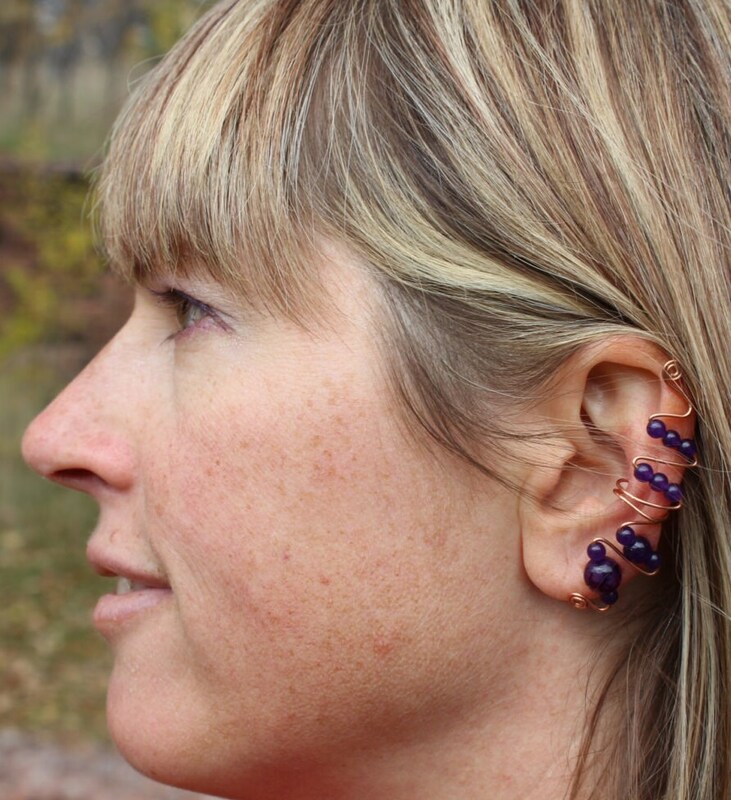 Amethyst, representing the Crown Chakra, is said to be good for all-purpose healing and routine cleansing. 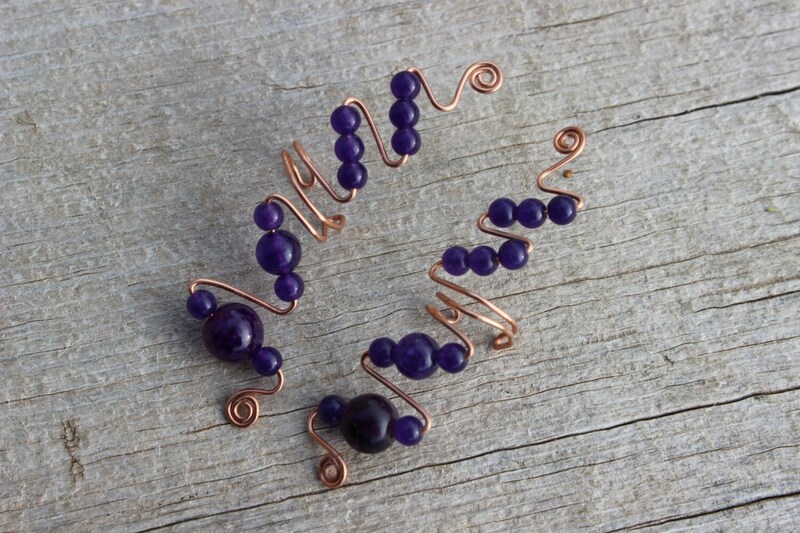 Amethyst is also the stone of integrity and was worn by Egyptian soldiers in battle so they would not lose their courage in dangerous situations. 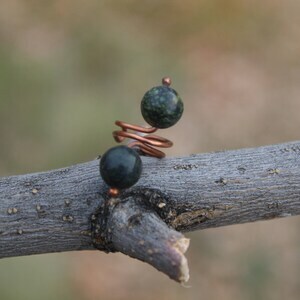 In North Africa, it is a rain-making stone, and is dropped into water by medicine men and women. 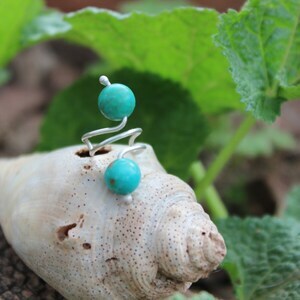 This ear cuff is earthy and natural! 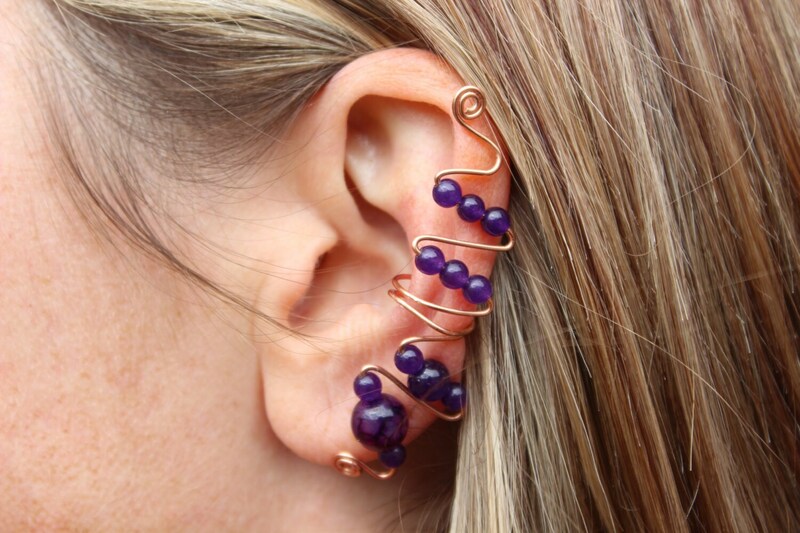 Your ear cuff is approximately 2 1/2 inches (10 cm) long. 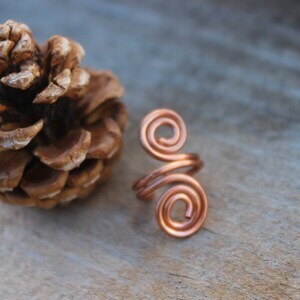 You can adjust these ear cuffs to follow the natural curvature of your ears by gently shaping the copper wire.